Overnight on Tuesday 16th April until 05:00 on Wednesday 17th April, we will be undertaking engineering work. While this work takes place, all services will be off-air. 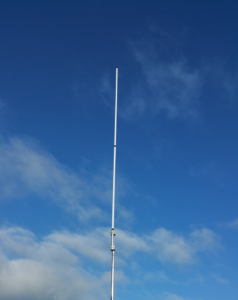 On Friday 11th January we will be undertaking engineering work to our DAB transmitter. During the day, there will be brief outages and periods of reduced power, but we will aim to keep these to a minimum. On Tuesday 5th February we will be undertaking engineering work to our DAB transmitter. During the day, there will be brief outages and periods of reduced power, but we will aim to keep these to a minimum. On Tuesday 4th December we will be undertaking engineering work to our DAB transmitter. During the day, there will be brief outages and periods of reduced power, but we will aim to keep these to a minimum. 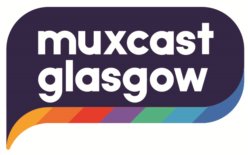 • Paisley FM will also shortly be joining the multiplex with further Glasgow based community radio stations set to launch in the coming months. The additional services are among a number of changes made by new multiplex operators Nation Broadcasting. Nation has underlined its commitment to DAB digital radio with an investment in an improved multiplex encoding solution from Factum Radioscape, the world’s leading DAB multiplex software provider. This has improved the sound quality of services, whilst coverage in the core area will also be improved with upgrades to the transmission antenna and proposals to launch the multiplex’s second transmitter. Overseeing the improvements is Ash Elford, recently appointed by Nation Broadcasting as its DAB Platform Manager. He said, “We have left no stone unturned in improving the Glasgow small scale DAB multiplex. There is an incredible appetite and demand for digital radio in Glasgow and I am very excited for 2019, when Glasgow listeners will really benefit from increased choice and improved coverage”. Cyber Hot Hits has officially re-branded as Cyber Radio, effective from Midnight on St Andrew’s Day. “Following on from recent audience research, Cyber Radio is expanding its playlist to cover the Greatest Hits from the last 40 years, targeting our major listener base of 25 to 54 year-old females. We are excited about the changes which will also feature our specially commissioned brand new American jingle set, produced by the leading production company Reel World. Welcome to our website. Muxcast is owned by Nation Broadcasting and we provide DAB digital radio transmission services for stations wanting to launch on DAB. Stay tuned to our website for further news from us about our future projects and to learn about what we are up to at the moment.